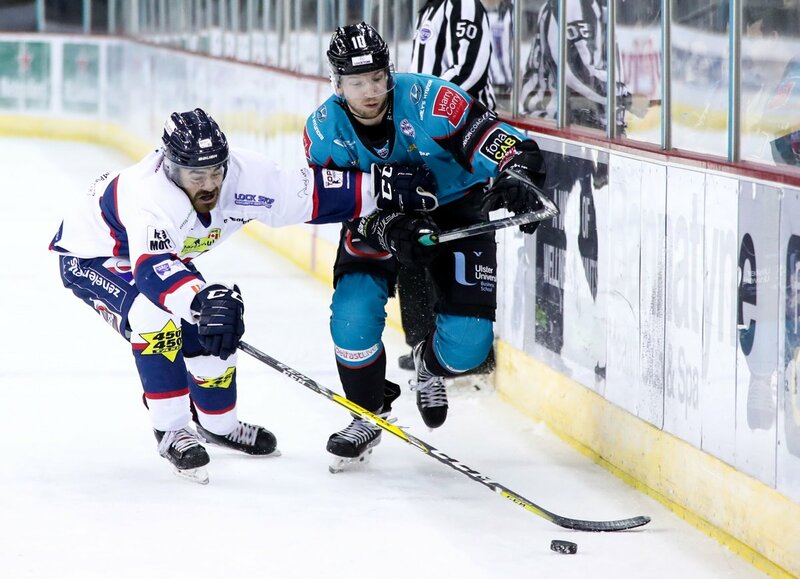 After a pointless week for the Belfast Giants, Adam Keefe hoped his side would go into this weekends games against the Dundee Stars hungry for their first points in league competition. Likewise the SSE Arena faithful wanted a reaction to 3 losses on the trot from this team which opened the season with so much potential. What was served up struggled to cleanse the palate of those losses to Fife and Nottingham. In fact it was the visitors who took the early advantage in the game, former Steeler Matt Marquandt finding the twine behind the returning Tyler Beskorowany with less than 5 minutes in the game. That advantage persisted through the rest of the 1st and the entirety of the second period as the Giants toiled to find an equaliser without showing any real bite in the game. Adam Keefe has a side dripping with talent and experience, and the early games were a demonstration of what is possible from them, yet the last week has turned those games into a distant memory as the team tried to regain the chemistry that has already given them 2 victories over Omar Pacha’s Taysiders. The equaliser would come late in the 2nd period. Mark Garside with a fantastic unassisted effort tying the game up with 65s left in the session and raising the Giants tails as they went to the final break. 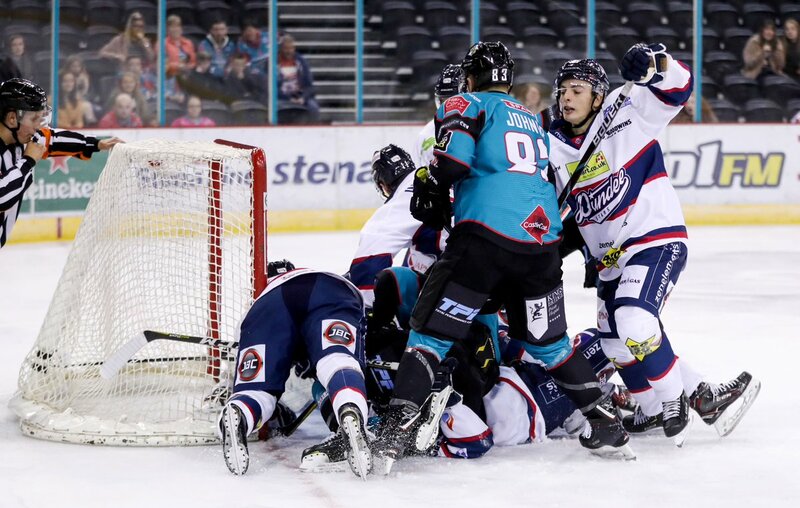 Yet it was more of the same in the final period, with many of the clear cut chances falling the way of the visitors, Jordan Cownie with the best of those following a terrible giveaway by the Giants behind their own goal line. Dundee had already taken the Sheffield Steelers to penalty shots this week, giving up a 2 goal lead to lose at the Sheffield Arena, and unfortunately for Omar Pacha he was to see his team lose from winning position for the second time in a week. A tip from Kyle Baun on a Gellinas shot would give the Giants the lead with about three and a half minutes in the game. 2-1 and the excellent Pontus Sjogren was pulled with a minute on the clock. The Giants had a few possessions but contained and despite a couple of attempts couldnt close out another goal. They didn’t need to, the buzzer sounded and the Giants chalked up their first league points of the season. A Win is a Win, but that shouldnt paper over the cracks, Adam Keefe takes his team to the Dundee Ice Arena tomorrow for another battle against the same opponents, but with the losing streak snapped at 3, the travelling fans will be hoping for a more confident performance from this team which promises so much and, of late, has struggled to deliver.